How do you get your target audience to choose your event over the multitude of other options? We all know that our business is extremely competitive and most events sit in very ‘crowded’ markets. Having the best speakers and content is obviously a ‘must’. 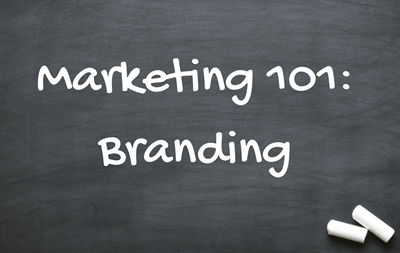 But we need go back to ‘Marketing 101’ to make sure we’re not missing the most basic and important ingredients for marketing any product or service: a strong brand identity and clear, compelling brand positioning. Have you invested enough thought, time and money in what your event looks like to your audience? Their perception of the quality and credibility of your event, as well as it’s specific value proposition, will be determined by what they see on your website, emails, videos, social media accounts and in any PDFs or printed material you distribute. Historically, events-focused businesses have not invested very much in brand design. Usually they’d get their brochure typesetter to throw together a logo and that was it. Now, with visual elements playing an incredibly important role in our digital age, organisations that don’t take visual branding seriously and invest enough in how they present themselves to the world will certainly not be market leaders. And good brand design does not have to cost a fortune or take a long time. There are many excellent freelance designers available these days, easily found online, who can produce very good branding at speed for quite reasonable fees – fitting quite neatly in to tight event marketing deadlines and budgets. Is your event messaging clear? If you don’t have value-led messaging tied into your branding and positioning there will be a disconnect between what your event has to offer and what your audience is expecting. You cannot assume your target audience understands your USPs and value proposition. You need to communicate this to them simply, clearly and repetitively. Spell out the benefits and value offered by your event. How it will help them do their jobs better? How will it help them growth their businesses? How will it help them save money or make more money? How will it save them time? If they don’t immediately understand what you are offering that will make it worth their while to give you their time (and often money) to attend your events – then you need to improve your messaging. Too many events that are reliant on vendor revenue in the form of sponsorship or exhibition sales focus their main messaging on benefits of their event to the vendor community (sellers). This may attract more revenue in the short term, but it won’t resonate with your end-user audience or necessarily attract them to your event. So, your most prominent messaging (e.g. on your event website homepage) must be focused on what end-users most value. Vendors will recognise and understand your focus on the end-users – to attract the audience they also want to engage with. You then need to create specific email messaging and landing pages for vendors that includes specific benefits for them. Simple and obvious really, but we are often surprised at how often event website homepages are focused on selling the event to vendors. Your digital presence must always reflect where you are now and where you are going, and your branding needs to be ‘digital first’, and within digital, ‘mobile first’. At the forefront of your branding strategy, ensure your visual branding and positioning comes through well on a smartphone (via mobile website, emails, digital ads and social channels) as it is very likely this is the first and most regular place people will look for your event. Your website should be the ‘source of truth’ for your event. It is the key touchpoint for your audience and any changes to brand identity or messaging overall need to first be made on your website, and then rolled out from there. As you roll out your branding, consider carefully how your website, social channels, digital adverts, email design, PDFs and printed collateral integrate for a seamless and visually pleasing customer journey. As customers click or move from one channel to another, the journey needs to feel smooth and integrated in terms of visual presence and messaging. These are essential elements of a strong brand and winning positioning. Let’s never be afraid of revisiting what we learnt in ‘Marketing 101’ – much of which can get lost when we’re too busy ‘doing event marketing’! Subscribe to MPG’s blog to receive an email notification when a new post is published.